How to get to the bus station in Dubrovnik? The easiest way to reach the bus terminal in Dubrovnik is by taking a cab or riding the city bus. Besides Zagreb and Split, Dubrovnik is one of the rare Croatian cities where you can take a lift with Uber, which is significantly cheaper than local taxi services. Bus city is, of course, even cheaper. A ticket valid for one hour will cost you 12 kn / 1.62 € if you buy it at a kiosk or 15 kn / 2.02 € in a bus. A 24-hour ticket costs 30 kn / 4.05 € which is very convenient if you´re planning on visiting multiple locations your first day (e.g., bus station - hotel, hotel - Old Town/beach, Old Town/beach - hotel). Dubrovnik is city with numerous steep hills and we don’t recommend walking more than 1 km if you’re not in good shape. The bus lines numbered 1, 3, 7 and 8 circulate through Gruž (bus terminal). Dubrovnik is well-covered by public transport, but bus imposes itself as a logical travel transport. You just need to buy your tickets earlier because of the prices. Out of the bus you'll pay less. Make sure you have checked the timetable which is available on the website: libertasdubrovnik.com since the main carrier on this area is Libertas Dubrovnik d.o.o. Bus Station Dubrovnik is small, modest and, for a location of such a tourist importance, leaves a completely different impression than expected. Nonetheless, there you'll find: public toilet (3 kn / 0.4 €), kiosk and wardrobe. Make sure you use that wardrobe because you won't find another in the city. Yes, this is the only chance for storing luggage. In case you want to get to the center right away you must know it is 2 km away from the station. On foot? Please no. Take advantage of the local bus. Dubrovnik Tourist Board is not far from the place you'll find yourself once you get there by bus. There you can go if you need some information about the city orientation, finding a place to stay and so on. A coffee shop is located across the street from the main bus station. We advise you to go there and get yourself a coffee. Added to that, 100 meters from the main station you will find a supermarket. You're hungry? Go buy yourself a sandwich, croissant, or chocolate. Dubrovnik bus station is very close to the ferry port of Gruz so heavy traffic is something you should expect. The prices at the station are not higher that the regular city prices. Unfortunately, you won't be able to find an open WiFi network nearby. Despite the lack of WiFi networks on the bus itself, ie in the station building, most buses running on the line offer internet, more accurate WiFi. Plus that, each bus is equipped with an air conditioning and a space for storing hand luggage. Most of them have TV receivers, and some have a toilet. The fact that bus carriers care about bus equipment and are trying to follow international standards is a huge relief for travelers who can easily relax themselves and enjoy their bus ride. So you are ready to rest after you get to your point destination? We sincerely hope that you have previously booked your accommodation for this travel. As you must know, Dubrovnik is so busy with tourists that during the season it's almost impossible to find free room. Yes, it gives you a lot of different types of accommodation, such as: private accommodation, hotel room and hostel. Despite growing capacities, number of tourists is increasing too. How do we know? In the first 7 months of 2016, a total of 1,824,702 overnight stays were recorded in the city and later on a steady increase was recorded. Therefore, if you are here looking for the room at the last hour, you might be surprised with the impossibility of finding, just as with the high prices. During the season the tourist is the most important term in Dubrovnik, but not much behind him it's, of course, profit. Sure it is something you must count on, so travelers who are looking for inexpensive accommodation in the season can forget about that. Okay, okay… apart from staying with relatives and friends at their home. Yes, we said Dubrovnik is a small town but nevertheless, it will take you at least two days to see everything. So if you’re staying for a couple of hours, you´ll have to make some compromises. Especially during summer, when it tends to be really crowded. The core of Dubrovnik or the Old Town should be your first travel stop and you can reach it with most of the bus lines (Pile station). At the tourist office there, you can buy a Dubrovnik Tourist Card that will give you discounts for many tourist attractions, as well as free entrance to all museums (8 in total). You can buy 3 types of cards, one for 1, 3 or 7 days worth of sightseeing. The Old Town will welcome you with its ancient monuments, churches and museums at every corner, while a walk along the 1.8 miles / 3km long Ancient City Walls will leave you astounded, if not a little exasperated. During summer, the Old Town turns into a theater and concert stage, illuminated by night sky. Outside of Old Town, there’s a cable car that can take you up to Srđ Hill where you can take a picture of the magnificent view of the town. There is also a Croatian War of Independence museum. Just an information, if you are a Game of Thrones fan, you should also visit Fort Lovrijenac (Red Keep). On the other hand, if you are done sightseeing Dubrovnik and want to rest on the beach, you will find no better place in Dubrovnik than Lapad bay where you can enjoy the sun, swimming in the sea and relaxing in beach bars. Vollo Tip If you're thinking about having dinner or a coffee in the Old Town it will cost you a pretty penny. Cafés and restaurants in the Old Town charge more than other cities in Croatia so beware and take a look at the menu before you order anything. Outside of the Old Town you can find fast food with meals as cheap as 3 - 5 € / 3,2 - 5,5 $ / 2,5 - 4 £ or restaurants that charge 10 € / 11 $ / 8,3 £ for a dish. 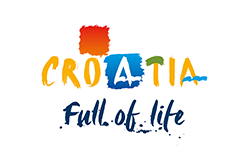 Not only that Dubrovnik is interesting for domestic and foreign tourists, Croatia is in general a popular holiday destination so you shouldn't be surprised by the number of lines which you can find at the Dubrovnik Bus Station: Novi Vinodolski, Opatija, Osijek, Plitvice Lakes, Ploce, Pula, Rijeka, Rovinj, Split (Ultra Europe Festival), Sibenik, Trogir, Umag and Varazdin. Many of these destinations are also well-known ports on the Adriatic. The most famous port in Croatia is undoubtedly the one in Rijeka. Pula is famous for its Amphitheater - the sixth largest in the world. With the number of interesting things, Sibenik is located near Skradin which is popular destination for luxury boats and its close proximity to National Park Krka. If you want to see Croatian metropolis it's good to know that from Dubrovnik to Zagreb you have 599.29 km of road and 390.38 km of air distance. Seems like a long ride? Nothing terrible. Use the traveling time to read the book you want to read for a long time or simply watch the beautiful Croatian landscapes that alternate through. Finally, once when you get there and finish your tour we suggest you to use local buses and go discover surrounded areas and towns like: Samobor and Karlovac.